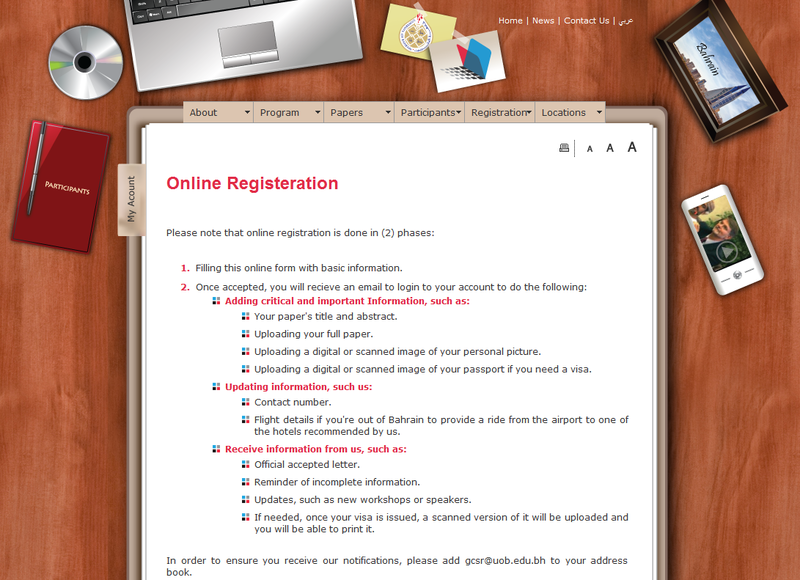 July 2009: Development of eConf3 website and online registration system. 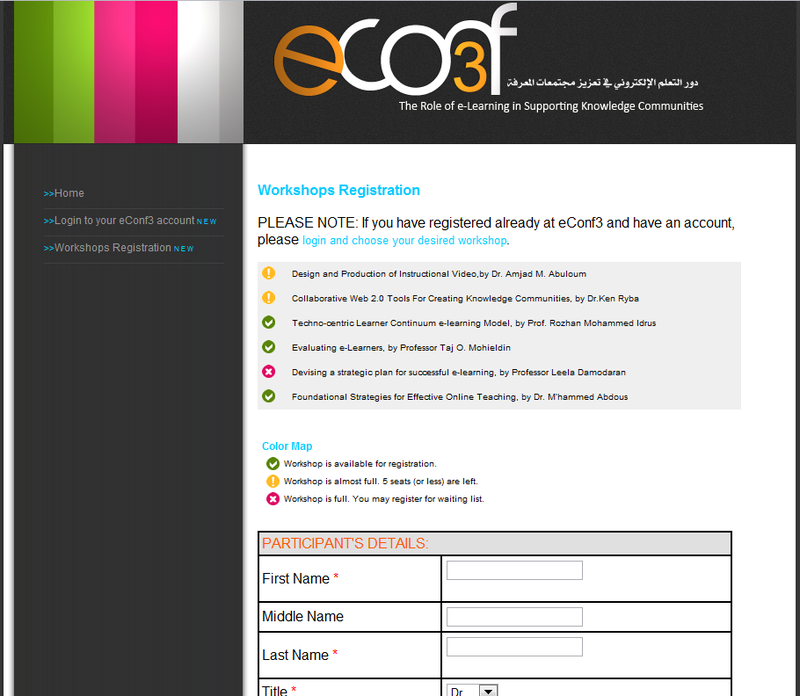 In preparations for the 3rd eConference, I was hired to work in the center (Zain eLearning Center) at UOB (University of Bahrain) as a developer. 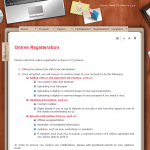 My first project was to develop an online registration system to automate most of the registration processes. 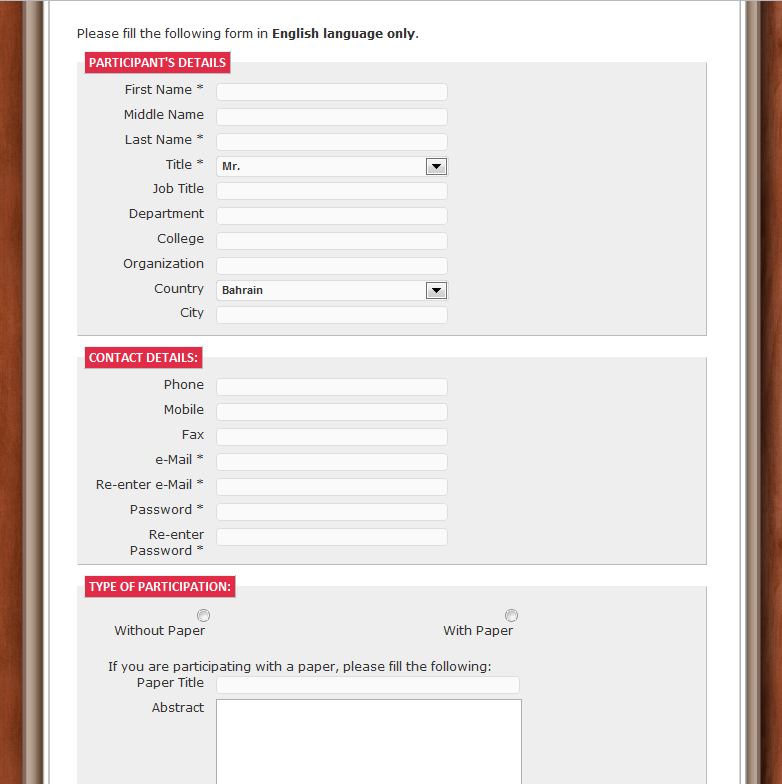 There is a form for initial registration, afterwards, the registration team would accept or reject those participants. 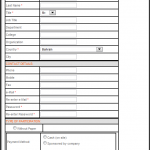 Depending on the previously taken action, a user account would be created enabling the participants (be it speakers or attendees) to add and edit their information (personal details, paper details -for speakers only, visa details… etc). 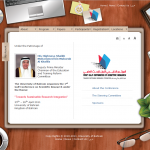 The system was a success that it was asked to be used for an another conference: The First Gulf Conference on Scientific Research. 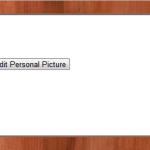 Below are sample images of the mentioned system. 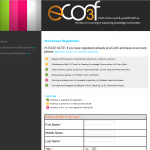 July 2010: Development of an online eCourses Application. 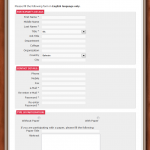 The eCourses Website is a multilingual built from scratch specific Customer Relationship Management (CRM) application for the sake of serving instructors and faculty staff by easily submitting a few clicks for their issues and need of assistance by the fellow designers. The back-end of e-Courses is a simple and straight forward desktop-like platform to ensure utter perfection by the helping designer with their tasks. In the sense of: Handling the given tasks by the coordinator, observing the process of the tasks as well as following up with any previous tasks for reference. 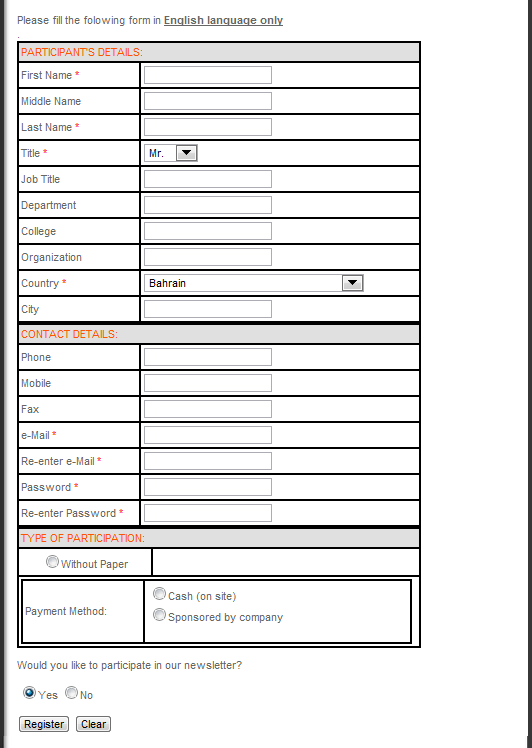 The e-Courses Application helps to quicken and ease the requests process, for both of the instructors and the faculty staff by just filling a form online. Later on, the instructors will be able to keep track with their e-Courses and their corresponding designer. As for the designers, it helps them to keep in track with their e-courses. The designer’s home screen will list all of their current e-courses. Plus, they can follow up with their current e-courses’ status and search for anything related to e-courses or instructors. The coordinator on the other hand, which is given the “Super Admin” account, will take those new requests and distribute them to the appropriate designer. Also, he/she is responsible for cancelling or reassigning the e-course from one designer to another, and handling other options like adding extra e-courses. Other functions which are handled by t he coordinator are: adding a designer account, or editing and deleting an existing designer account. Number of current e-courses per semester, or academic year, or even the number of all applied e-courses. Number of instructors who applied for e-courses. Number of e-courses or instructors from different colleges and departments. Number of e-courses at certain or specific e-Learning platforms. The language which is used, either Arabic or English.